The iPhone XS Max is Apple’s biggest and most expensive iPhone ever. Launched alongside the XS in September, the XS Max was lauded above all else just for having a massive screen. While the XS Max is a very impressive and imposing phone, it offers precious little improvement over the XS – or even 2017’s iPhone X – beyond its bigger screen. So, who is the XS Max for? Should you buy it? And what’s even the point of a phone this big? Does it show a lack of imagination? Cost and Value for Money – At $1,100, can the XS Max ever be worth it? 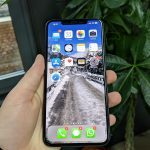 iPhone XS Max vs iPhone XS vs iPhone XR – Which is the right iPhone for you? 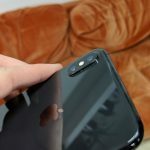 iPhone XS Max Verdict – Should you go large on the new iPhone? The iPhone XS Max follows the same design language as the iPhone XS, the XR, and the X before it. The front is nearly all-screen, with only the notch and a little chin getting in the way of the OLED display. The glass rear is available in three distinctly iPhone colors: Silver, Space Gray and Gold. 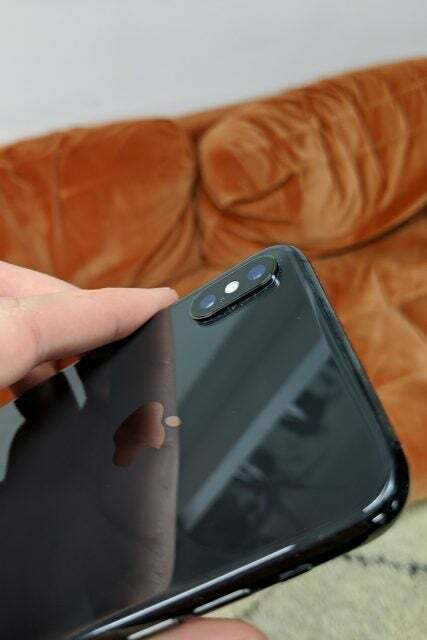 You get the same large capsule-shaped camera bump as the XS, and some light-touch Apple and iPhone branding. Both glass panels are flanked by a curved stainless steel band, which also houses a single lightning port and no headphone jack. So far, so iPhone. 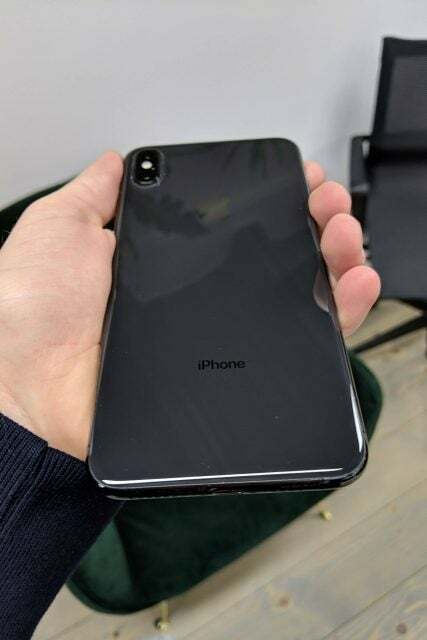 The most noticable difference between the XS Max and other iPhones is simply the size of the device. It stands at 157.5mm tall (6.2-inches) and features a 6.5-inch screen on the diagonal. For reference, that makes the XS Max 4 mm smaller than the Samsung Note 9 and 1 mm smaller than Google’s Pixel 3 XL, while packing a screen that is 0.1-inch and 0.2-inches bigger than those phones, respectively. The XS Max is 7g heavier than the Note 9 and 24g heavier than the Pixel 3 XL. 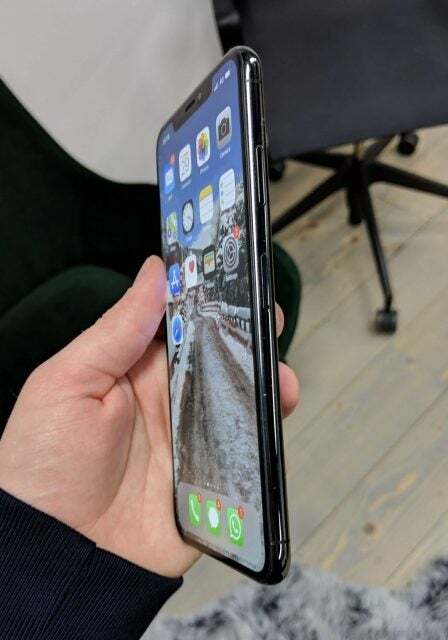 That might not sound like much, but in hand, you definitely notice the XS Max’s extra heft. This extra weight largely comes from the stainless steel clasp that holds the front and rear glass together, and this extra heft lends the XS Max a more solid, well-built feel. One area where the XS Max does fall down is in its width. It’s a full millimeter wider than the Note 9 and 0.7mm wider than the Pixel 3 XL. Again, that might not sound like a lot, but it makes the iPhone feel slightly more ungainly. The extra width makes one-handed holding, let alone one-handed use, significantly more challenging. 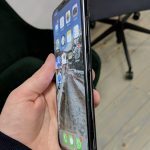 The XS Max’s beefed-up body gives it almost an inch of extra screen size compared to the regular XS. Having a phone screen this large definitely has its advantages. Firstly, it makes productivity tasks easier, such as reviewing documents or reading and writing emails. Secondly, it makes watching videos or playing games even more enjoyable. However, the extra screen size afforded to the XS Max generally feels, well, wasted. The Samsung Note 9, for example, has great multitasking functionality, which allows you to display two apps in an over-and-under arrangement for easier on-the-go work. Everything on the XS Max is, simply, bigger. The extra screen isn’t utilized to its fullest, and as a result, it makes the XS Max feel a bit lumpen. It’s taking a sledgehammer to crack a nut. The under-utilization of the extra screen feels even more disappointing when split-screen functionality is already available in the iOS operating system – Apple uses it extensively on iPads to help pitch them as laptop replacements, for example. The iPhone XS Max uses exactly the same cameras that you’d find on the smaller, cheaper iPhone XS. And that’s a very good thing. The rear cameras are two 12Mp shooters with one wide angle lens and one telephoto lens, and they take pretty great pictures. Thanks to some smart software, you get daytime shots with lots of color, good detail, and a relative absence of noise. There is a tendency for some images to look overexposed, and the XS Max’s camera software occasionally ramp up color saturation unnecessarily. This is largely down to the Smart HDR feature, which has been added to the XS and XS Max. By capturing multiple frames of the same image at different exposure levels and stitching them together, the tech is supposed to deepen shadows, and enhance color and light. On the whole, the Smart HDR feature works brilliantly, but sometimes it can’t live up to its own hype. The rear cameras on the iPhone XS Max are great, but they’re not quite as good as Google’s all-conquering Pixel 3 XL. Round the front, you have the same 7Mp TrueDepth face-sensing camera from the iPhone X and iPhone XS. Again, it’s a pretty good selfie-snapper, but can’t match the images from the Pixel 3 XL. The front camera captures colors pretty well, and maintains a good level of accuracy. It does have a tendency to smooth out textures, though. It’s a criticism that has been levelled at iPhones before, but on the XS Max, with all that extra screen, you’ll notice the smoothing even more than usual. On the whole, the XS Max’s cameras are great. They deal with light well, capture colors nicely, and have some pretty decent party tricks in Smart HDR and Portrait Mode. Despite having the largest battery of all current iPhone models, the XS Max delivers perfectly normal battery life. You should get around a day-and-a-half of regular use, while frugal usage could stretch this to maybe two days. The battery takes a slight hit when gaming or watching videos, but this is largely to be expected. The iPhone XS Max uses Apple’s latest A12 Bionic processor, which is easily one of, if not the fastest mobile processor on the market at the moment. As a result, the XS Max is a veritable powerhouse, despite only having 4GB Ram. You’ll easily be able to run the most demanding mobile games, such as PUBG Mobile and Fortnite, and multitask without any significant slowdowns. What’s more, the A12’s improved neural engine and machine learning should lend you some significant improvements in the most cutting-edge areas of iOS. For example, AR games and apps will load faster and become more accurate over time, and you should experience battery life improvements and optimizations with Siri. 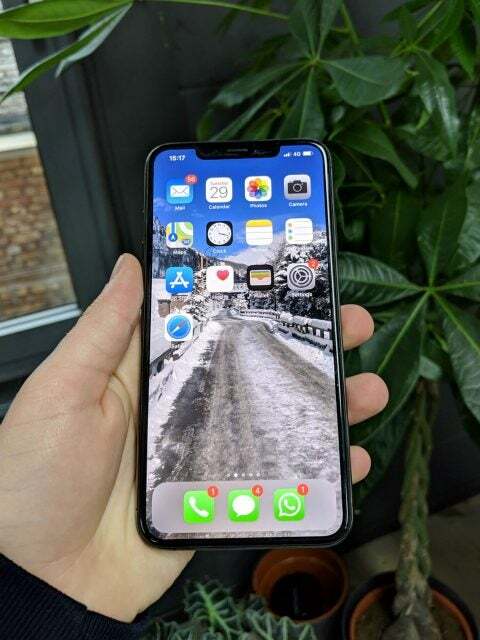 If you’re after a phone that can handle everything you could possibly throw at it, you can’t go wrong with the XS Max. Hope you’re sitting down… The iPhone XS Max, as we’ve already discussed, takes the regular iPhone XS and makes it bigger. Including the price tag. The XS Max starts – starts – at $1,099 unlocked, with 64GB of unexpandable storage. The 256GB and 512GB versions start from $1,249 and $1,449, respectively. That’s $100 more than the already expensive XS. So, is it worth that price? Frankly, it’s hard to justify that price in isolation, or even in relation to the XS and other flagship phones. Paying an extra $100 for essentially 0.7 more inches of screen isn’t a particularly good deal. So when it comes to picking an iPhone, which one is right for you? The XS Max, while its extra screen is a nice-to-have, it’s hardly a need-to-have. There’s no real, tangible reason why you’d buy the XS Max over the XS. 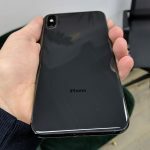 The XR, on the other hand, represents some good value, with a $250 saving over the regular XS. However, its single rear camera and LCD screen are noticeable let downs compared to the XS. It’s still powerful, though, and a nice looking phone to boot. The XS, even though it costs $1,000, is probably the best option in the current iPhone range. It has a great display, fantastic cameras, and a powerful processor; it’s easier to use one-handed, and it isn’t too big. Of course, if price is a concern, you could always try to find a refurbished iPhone X for less than the price of an iPhone XR. The iPhone XS Max is a device that confounds. It’s a fantastic selection of components, squeezed into one very nice package. However, in practice, it’s too big, too heavy, too expensive, and far too similar to the iPhone XS for us to wholeheartedly recommend. It’s not bad, but we’d buy the regular XS.